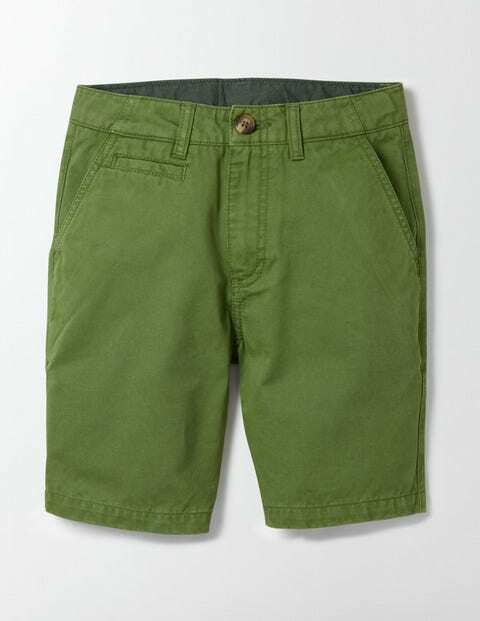 Stay smart enough for family outings, even on the hottest days, thanks to these crisp chino shorts. This soft twill design is garment dyed for an individual, authentic finish – so check the label before you wash, to keep it looking its best. Oh, and for an extra bit of Britishness, we've decorated the belt loop at the back in red, white and blue.